Not only is the bank unique in having a full sized residence attached, but it also has a long history of being a family run, stockholder owned business. 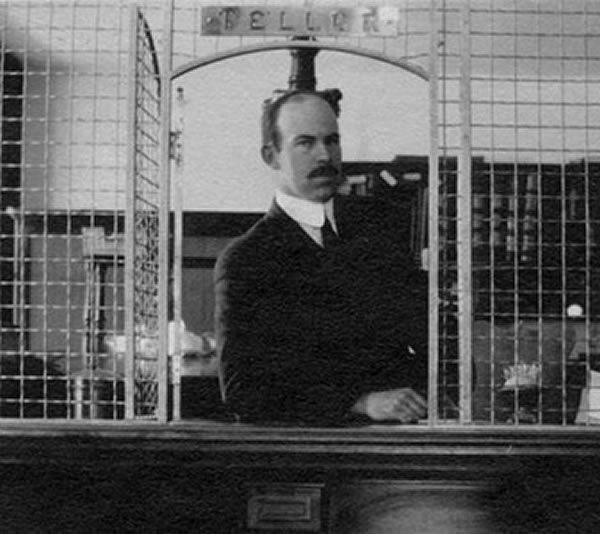 In 1880, just before the large changes were made to the building, the son of the local rail stationmaster, Davis L. Wells, came to work as a telegrapher and teller. 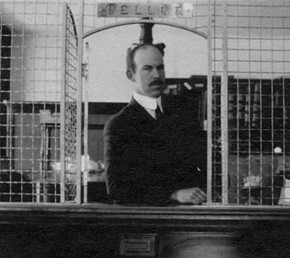 His daughter, Mabel Wells, eventually married one of the tellers, Russell Young. After his untimely death in 1919, she raised their two children in the bank house and worked in the business with her father and then her son until her retirement. Her son Robert and daughter-in-law Margery (Plue) also made a career of banking. They had five sons, all of whom worked in the bank during vacations. At times, childcare was as simple as placing a playpen under the large standup desk. Mark Young, the youngest of the five sons, is the current President of the bank. He lives in the house with his wife. Mark’s son, Bryan, took over as CEO in 2016, extending the family tradition to the fifth generation.